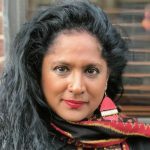 SHARMINI PERIES: Welcome back to my conversation with Marjorie Cohn. She’s emerita professor of law at Thomas Jefferson School of Law in San Diego, California, and former president of the National Lawyers Guild. Marjorie, good to have you back. MARJORIE COHN: Nice to be here, Sharmini. SHARMINI PERIES: Marjorie, give us some context as to why this grand jury is pursuing this case so aggressively now. As you said earlier, the Obama administration took a step back and wasn’t as aggressive, but there’s renewed interest in this case. Why? MARJORIE COHN: The Trump administration has gone back and forth about its love or hatred for WikiLeaks depending upon, I guess, Donald Trump’s mood. Jeff Sessions was Attorney General when the secret indictment was prepared last year. Now, of course, we have a different Attorney General, William Barr. He is most famous for the Mueller report and what he is not turning over from that. But he is also the Attorney General of the United States, and is for some reason–and it’s not really clear–deciding at this point to go after Julian Assange and WikiLeaks. And that’s why the Department of Justice has subpoenaed Chelsea Manning to testify before a grand jury. She has refused, she’s been held in contempt, she’s been jailed indefinitely, she has been held in solitary confinement, which could amount to torture, and she has now been released from solitary confinement but is still being held. Now, that means that there is a grand jury impaneled to hear evidence about Julian Assange and Wikileaks, in all likelihood toward the end of receiving him, if and when the British government turn him over. Now, the reason that this has become an issue now and there is much speculation that Julian Assange may well be released from the Ecuadorian Embassy in London and arrested by the British government and sent to the United States, extradited to the United States, is because the Ecuadorian President Lenin Moreno has accused Assange of repeatedly violating–those were his words–repeatedly violating the conditions of asylum; first of all hacking into Moreno’s private papers, and also the INA papers which alleged that Moreno corruptly benefited from offshore accounts in Panama, basically money laundering. Wikileaks never published INA. WikiLeaks tweeted about other reports about INA, but this President Moreno, the new president of Ecuador, has had it in for Assange for quite a while. And Assange is evidently in very ill health, very weak, and this would be not only devastating to his health, to be extradited to the United States, but also violate his human rights against being basically blackmailed into giving up asylum rights. He has a right to asylum under the Refugee Convention. And according to the UN special rapporteur on torture, it would cause serious violations of his human rights, his right to freedom of expression, his right to due process, and his right to be free from cruel, inhuman, or degrading treatment or punishment. SHARMINI PERIES: All right. Marjorie, one interesting note is that President Correa, this is the president that was the president before Moreno, he had given Julian Assange citizenship in Ecuador. Does this protect him in any way from being extradited to the United States? MARJORIE COHN: Well, it should, but all bets are off with this proceeding. Moreno has been escalating his threats against Assange. And even an Ecuadorian citizen could be released, he could be arrested by the British government, and they can try to extradite him to the United States. Now certainly, Assange’s lawyers would fight extradition, but whether or not this actually could happen, I think it’s very likely that it could happen. I think the United States wields tremendous political power, and unfortunately, this isn’t just a legal issue at this point. It’s also a political issue. SHARMINI PERIES: All right. 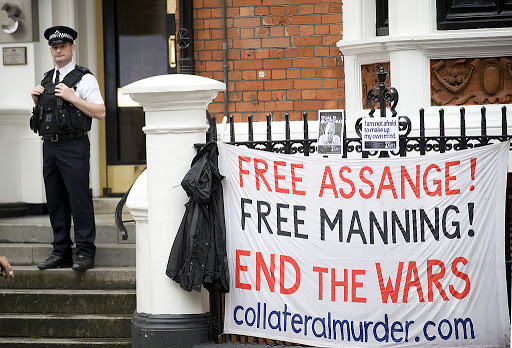 And if Julian Assange’s lawyers obviously contest any extradition by way of the courts, does that mean he will then stay his–I mean, will he remain in the UK while he’s awaiting decision, released from the embassy? MARJORIE COHN: He will either remain in the Ecuadorian Embassy–but if President Moreno, the Ecuadorian president, expels him from the embassy, then the British government has said they would arrest him. So he might be held in British custody while they’re litigating the legality of extraditing him to the United States. SHARMINI PERIES: All right. Marjorie, I thank you so much for joining us today and for all the insights you’ve provided. Looking forward to having you back, as this case obviously is going to continue with both Chelsea Manning and Julian Assange. I thank you for today. MARJORIE COHN: Thank you, Sharmini. I appreciate it.